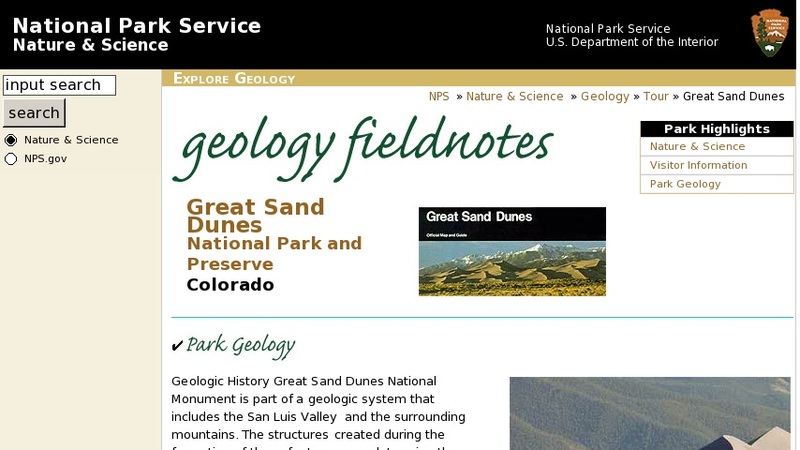 This article describes the geology of Great Sand Dunes National Monument. The monument is in southern Colorado and contains North America's tallest dunes, which rise over 750 feet high against the Sangre de Cristo Mountains. Great Sand Dunes, containing 30 square miles of dunes, became a national monument in 1932. Features include links to maps, photographs and visitor information as well as a selection of links to related topics.